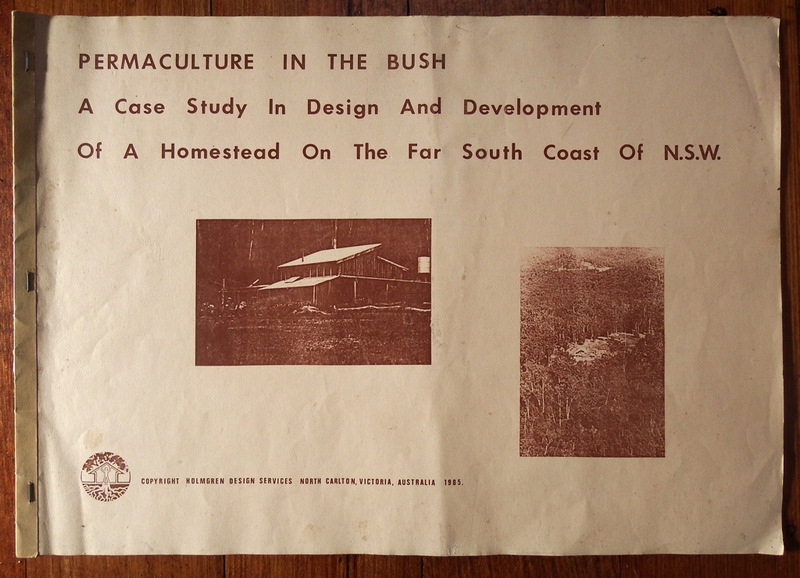 After the release of Permaculture One in 1978, David Holmgren self-published his second book Permaculture in the Bush in 1985 – a detailed record of the development of his mother’s property on the south coast of New South Wales. After developing Venie’s homestead, David and his partner Su Dennett purchased a 8700m² (2¼ acre) property in Hepburn, Central Victoria in 1985. They named the property Melliodora after the large and productive Yellow Box trees (Eucalyptus melliodora) that fringe the property. 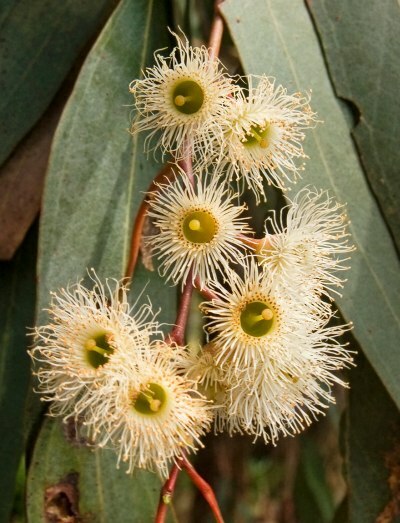 Famous for their honey and durable timber, Eucalyptus melliodora is indigenous across a large part of Australia from the slopes of the Murray Darling Basin in western Victoria to southern Queensland. At Hepburn Springs it is at the “cool summer” extreme of its climate range, growing as a tall timber tree. Melliodora has since become one of the best documented and well known permaculture demonstration sites in the world. David’s case study approach followed with The Flywire House (1991), Trees on the Treeless Plains (1994) and Melliodora: 10 Years of Sustainable Living (1995). His prolific writings were first collated in Collected Writings (2000/2006) and are extensively referred to in his major work Permaculture: Principles and Pathways Beyond Sustainability (2003), also self-published. Available in 9 language, with 40,000 English copies sold, since revised edition in September 2017. The principles referred to in the book have been widely adopted by the international permaculture community following the release of the Essence of Permaculture (a summary of PPPBS), and supported with a number of teaching aids: Fridge magnets, Principles DVD, Teaching Kit and in 2008 with the first Permaculture Calendar and launch of the Permaculture Principles website. The decision to publish Permaculture Pioneers (2011) was a move by David and Su to support other permaculture authors to publication. Melliodora Publishing was born. The book charts the history of the first three decades of permaculture through the stories of Australian pioneers. It follows the longstanding permaculture theme of learning from what was done before us. Our relationship with Permanent Publications in the UK has resulted in us re-printing Rosemary Morrow’s Earth Users Guide to Permaculture and Teaching Permaculture back in Australia once again. We are also collaborating with a number of permaculture creators, providing a central place where linked materials are made available. Since the success of the best seller The Art of Frugal Hedonism by Annie Raser-Rowland and Adam Grubb (authors of The Weed Foragers Handbook) released in October 2016, Melliodora Publishing has two new titles. The long awaited revised edition of David Holmgren’s Permaculture: Principles and Pathways Beyond Sustainability (2003/2017) and his latest work RetroSuburbia: The downshifters guide to a resilient future released in February 2018. Oliver Holmgren and Richard Telford of Permaculture Principles, have been developing a business model that provides an outlet for independent permaculture authors to retail and wholesale their titles – while providing a fair return. Retail outlets include the permacultureprinciples.com Australian and US online stores along with Holmgren Design store. The wholesale service is offered from this website, with the warehouse based in Seymour in central Victoria. Feel free to get in touch with us if you have any questions about this service.